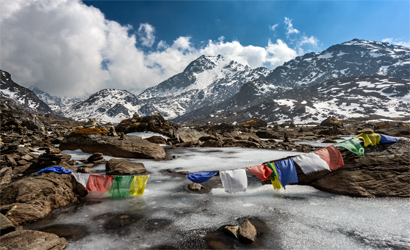 Langtang valley is situated close to the Tibetan border. 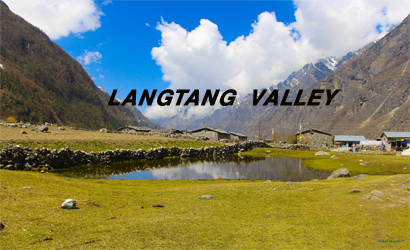 A remote valley enclosed by snow-capped mountains that culminates in the peak of Langtang Lirung (7246m). The valley runs east to west and is framed by snow-capped peaks soaring 6,000m to 7,000m. 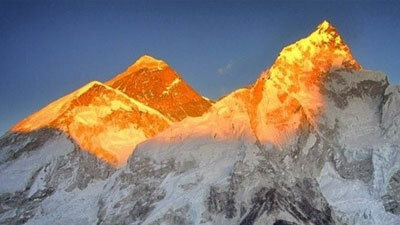 The northern border features the main crest of the Himalayas with the Langtang Lirung, at 7,245m, the highest peak there. See more. By road, Langtang Valley is up to six hours’ drive from Kathmandu or up to five if you decide to trek through Helambu’s forested hills. Langtang’s the place to trek if you want a short trip with “all the excitement of the Himalayas”, says the Nepal tourism office. It says the area is one of the most accessible trekking areas near the Kathmandu Valley offering short day hikes or week-long (or more) treks into the lake district. You’re up for 70 glaciers and high altitude lakes such as Gosainkunda, Parvatikunda, Bhairavkunda and Dudhkunda.Yak and sheepherders abound. Langtang valley trek starts with full excitement drive from Kathmandu to Syabrubesi and follows trails to Langtang River. The trek reaches the Tamang settlement of the picturesque Langtang village and allows the trekkers to interact with the Tamang locals. 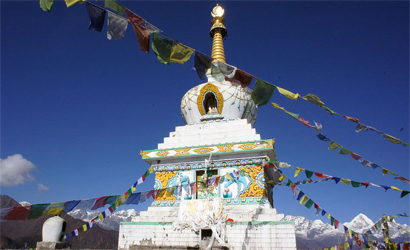 The trek also features the ancient Kyanjin Gompa, which holds the highest spiritual honor among the locals of Langtang region and also hosts a spectacular panorama of the mountains including the Langtang range. As you reach the highest altitude of the trek in Tserko Ri (4984m), you will get mesmerizing panoramic views of the mountains in the Langtang region. While you enjoy the serene environment of the trek, you will also get great views of peaks such as Dorje Lakpa (6966m) and Shishapangma (8013m), the only 8000m peak in Tibet. 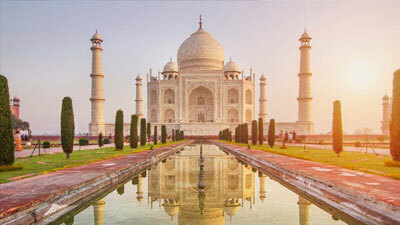 The last day trip is a complete package to experience nature and culture along with breathtaking rays of sunrise/set that fall on the mountain peaks. Today you will have a pleasant walk and follow the trail through rhododendron and pine forest for around three hours to reach Ghoda Tabela where you will stop for lunch. This surrounding area dense wild habitat area and many small babblers with lot of herbal can be found here. After lunch you will walk another three hours on the scenic trail takes you to Langtang village (3455m/11332ft) where you will relax for the evening. Today after breakfast you will leave beautiful Langtang Village and start your trek leisurely for around three to four hours to visit Kyanjing Gompa. 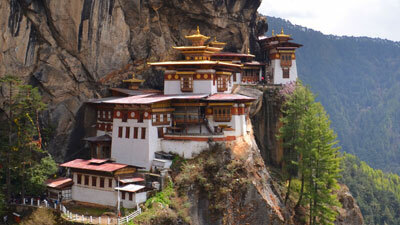 Kyanjin Gompa is the last destination of your trekking at an altitude of 3817m/12519ft from sea level. From here you will have beautiful views of Mt Ganchempo and Mt. Langtang Lirung. 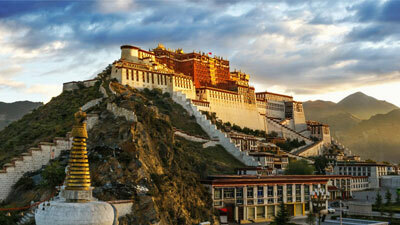 You will visit surrounding area like Yak cheese Factory, Kyanjin Monastery and local houses. This morning you retrace your steps to Ghoda Tabela. The walking will be pleasant and scenic. Today you walk down to Syabrubeshi via Lama Hotel and Bamboo through previous rhododendron forest and along with Bhotekoshi River. After breakfast catch a coach to set for Kathmandu. After reaching in Kathmandu, you will be taken to your hotel. Have a rest. In evening you can stroll around Thamel, the major tourist destination of Kathmandu. You can do some last minute shopping of souvenirs for your family and relatives.